Will Apple's AirPods (pictured) soon have competition from Amazon? As reported by MySmartPrice on Monday, the second-generation Apple AirPods are expected to come with a better grip, new sensors, and improved sound. 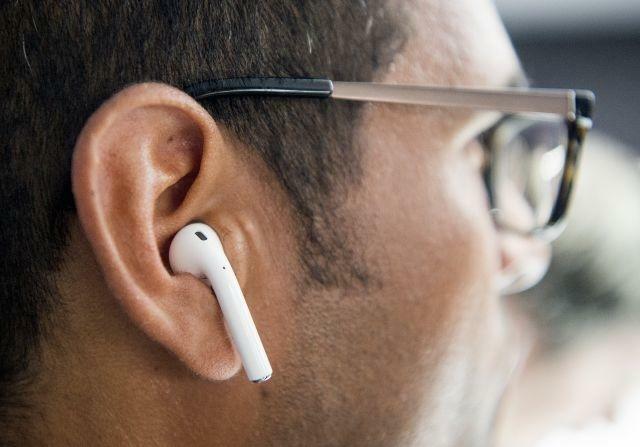 It's been known for months now that Apple's second-gen AirPods will come with a collection of new health-tracking features and Bluetooth 5.0 compatibility. On Monday, however, not only did MySmartPrice give us what are reportedly some new details about the earbuds but also an update about the evasive AirPower Wireless Charging Pad. Because the AirPods 2 will be able to track the wearer's health, it's a no-brainer that the headphones will be equipped with more sensors. In terms of sound, only the bass is expected to be improved at this point. On the outside, the earbuds will be offered in two colors, black and white, and they may come with a subtle coating to improve ear grip. As for the AirPower, which made its first appearance in 2017 and has since vanished from the Apple site due to technical difficulties, the wireless charging pad may finally hit the market this spring. MySmartPrice's source claims that the charging case will be slightly thicker than when first announced a couple years ago and will only be compatible with the iPhone 8 and more recent.